Index funds track a certain market segment. 1. What Is the Rate of Return on an Index Fund? A mutual fund collects money from a large number of investors to buy assets such as stocks and bonds. The fund's holdings are divided into shares, and each investor profits from the growth and income of the shares owned. An index mutual fund is one that strives to match the return of a particular market segment, as represented by an index. 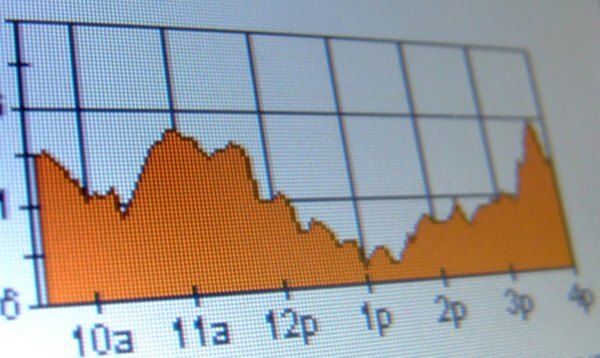 A market index is a sample of investments intended to follow a particular segment of stocks or other securities in the U.S. or internationally. Some well-known stock indexes include the Standard & Poors 500 Composite Stock Price Index and the Dow Jones Industrial Average. Other indexes reflect market segments for bonds and other investments. An index mutual fund tries to duplicate the returns of a particular index by purchasing the stocks or bonds that the index includes. Some funds purchase all of the securities in the index, while others purchase only a sampling. Some funds also invest in options or futures for the securities in the index. Managers of other types of mutual funds must actively pick securities. However, index fund managers only select from a predetermined group of investments. For this reason, the management method for index funds is considered passive. Shares in an index fund normally increase in value when the index rises. The passive management of index funds generally results in lower fees than for other funds, leaving more net profit for investors. In addition, managers of index funds usually buy and sell securities less often than managers of other funds. This results in fewer capital gains and lower income taxes for fund investors. Investors can lose some or all of their principal in index funds because mutual funds do not have Federal Deposit Insurance Corporation or other government insurance. Index fund shares carry the same risk as the fund's portfolio investments when stock or bond prices fall or dividends decline. The need to follow a chosen index may also give the fund managers less ability to change direction in poor market conditions. Whenever the index goes down, your index mutual fund shares generally decline in value. You can buy index mutual funds from fund companies, banks, brokers or other agents. The Securities and Exchange Commission recommends requesting a mutual fund's prospectus and reading it before you invest. A prospectus provides essential information on the fund's investment strategy, portfolio, fees and past performance. However, past performance doesn't guarantee similar returns in the future, as the SEC warns.